Meurthe is a former department of France created in 1790. 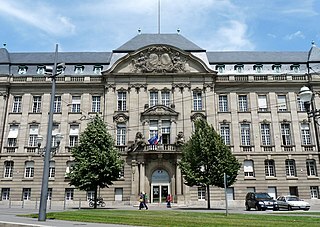 Its prefecture (capital) was Nancy. It ceased to exist following the annexation of Alsace-Lorraine by Germany in 1871. 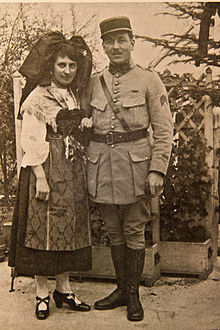 The Elsässisches Fahnenlied was written by Emil Woerth (1870-1926) in German when Alsace-Lorraine was part of the German Empire (1871-1918). 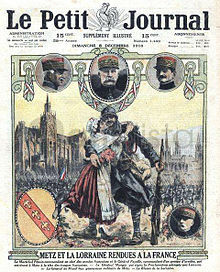 It was adopted as the official anthem of Alsace-Lorraine in 1911. 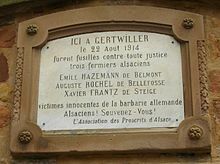 Herrlisheim is a commune in the Bas-Rhin department in Grand Est in north-eastern France. The town dates from the 8th century. Herrlisheim was the scene of very heavy fighting during Operation Nordwind, an offensive launched by the German Army during World War II that inflicted considerable damage to the town. The Kaiserliche Generaldirektion der Eisenbahnen in Elsaß-Lothringen or EL were the first railways owned by the German Empire. The Left Bank of the Rhine was the region north of Lauterbourg, in present-day western Germany, that was conquered during the War of the First Coalition and annexed by France. Because the attempt to create a Cisrhenian Republic foundered, the territories west of the Rhine were reorganized into several départements among the French first republic. After the allied victory over Napoleon in 1814 these territories were provisionally administered by the Central Administrative Departement (Zentralverwaltungsdepartement). 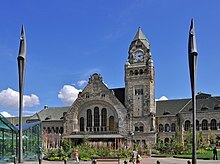 The Sarre province and the district of Landau in der Pfalz previously French before the Napoleonic wars were under the definitive act of the congress of Vienna ceded to the members of the coalition. 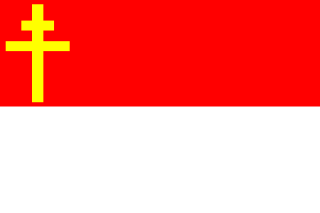 The recent annexations done under the first republic were restituted. From these territories the Bavarian Circle of the Rhine (Rheinkreis) and the Hessian province of Rhenish Hesse (Rheinhessen) were formed in 1816. The regions to the north went to Prussia and were initially part of the two provinces of Jülich-Cleves-Berg and the Grand Duchy of the Lower Rhine, from which the Rhine Province emerged in 1822. The southern left Rhine territories, which had for centuries been under imperial rule in the Holy Roman Empire had been seized by France, mostly in the 17th century, were annexed to the new German empire in 1871, following France's defeat in the Franco-Prussian War. 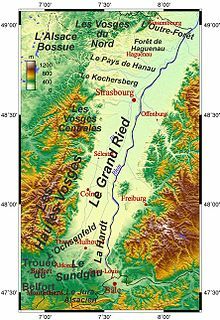 The region was consolidated as the Imperial territory of Alsace-Lorraine for a period of 48 years (1871-1919), before being restituted to France in the wake of the First World War. 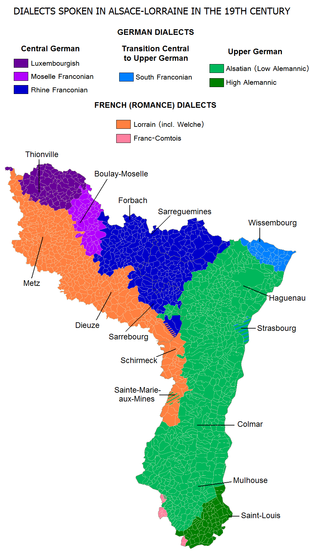 The Alsace bossue, is a territory of Bas-Rhin in Alsace, which includes the three former cantons of Sarre-Union, Drulingen and La Petite-Pierre.